Untethered in recent years from the conventions of Italian cookery, the modern pasta dish has become a culinary wanderer of sorts, as likely to be spotted at a Central European sausage tavern or a French-inflected North End pop-up (see: Bronwyn, Whisk) as at its traditional trattoria habitat. That’s not to say that all enlightened species have succumbed to the migratory pull. A newer generation of Italian eateries is offering hand-rolled and extruded masterpieces that thread the needle of tradition and innovation: inspired spots like Sportello and Coppa, for example, as well as No. 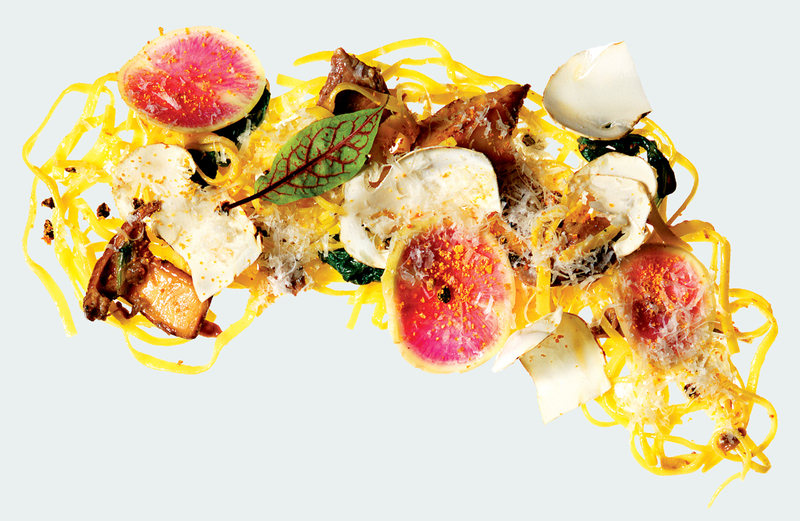 9 Park, which this spring included a weekly six-course pasta tasting on its bar menu. Among the newest members of the club: Cambridge’s Giulia and Ribelle, in Washington Square. Chef Tim Wiechmann’s blutnudeln may be a take on a traditional northern Italian preparation, but it also embodies the modern pasta dish in two ways: It incorporates an unusual addition to the dough, and it’s lightly sauced, letting the noodles function as the uniting factor for a host of bold-flavored, texture-rich components. 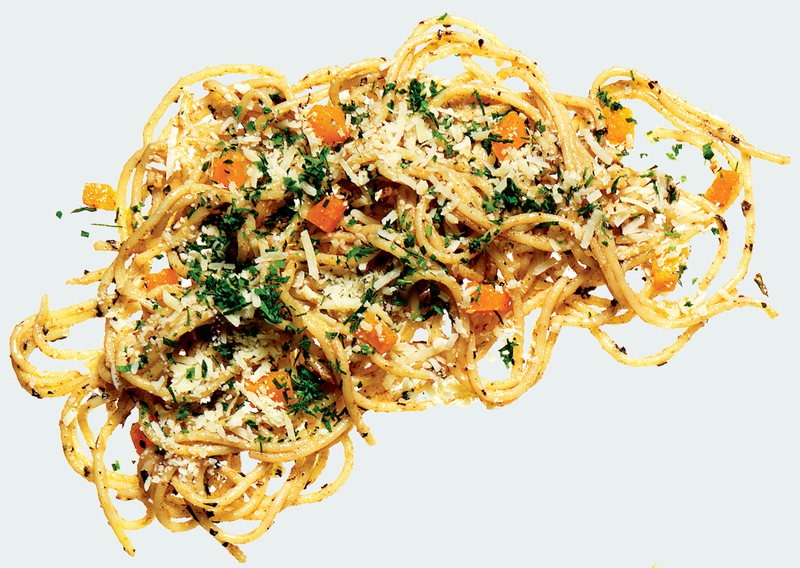 Spaghetti, brown butter–chicken liver sauce, pumpkin. Red-wine-braised beef agnolotti with carrots, maitake mushrooms, parsley. 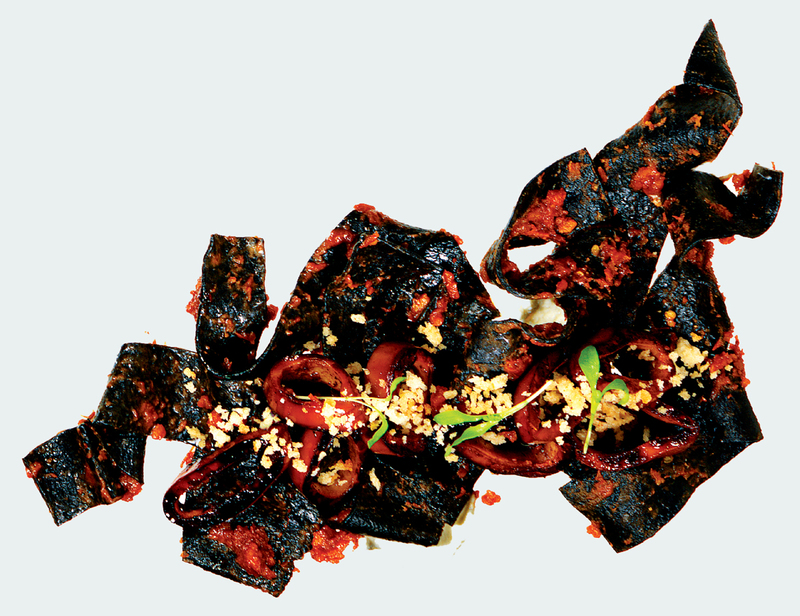 Squid-ink pappardelle, brown-butter panko crumbs, miso–black garlic butter, braised calamari, slow-cooked tomatoes. Farro casarecce, kale, whey-braised rabbit, chanterelles, roasted kuri squash. Tagliolini, braised duck, roasted and raw matsutake mushrooms, cocoa nibs, watermelon radish, radish greens. 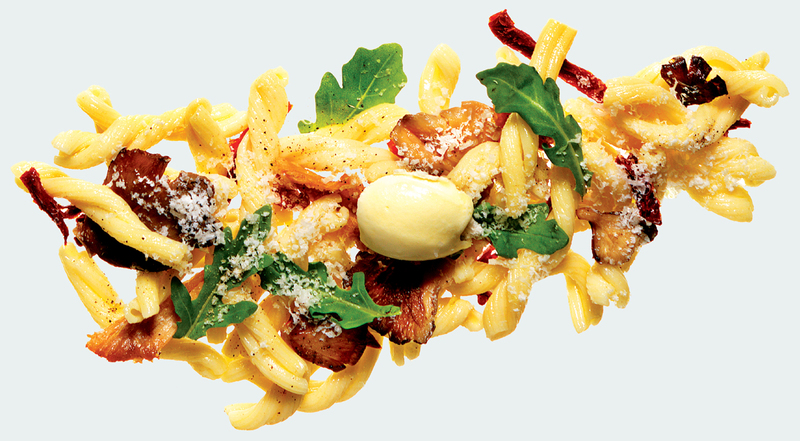 Gemelli, confit chicken, pancetta, arugula, sundried tomato, mascarpone, oyster mushrooms, grana Padano cheese.